Have you ever found yourself in a situation where you’ve ‘heard’ something before, but for some reason it didn’t resonate until now? After planning events for six months, this happened to me. My mentor told me time and again that I should always know my event objective. I was familiar with the concept but for six months after starting my event business, I didn’t pay attention to this simple, yet effective, strategy I had been taught. Planning an event can be intimidating and scary, and knowing your event objective saves you from panicking during the event and shows your clients and event vendors your professionalism. Knowing your event objective helps you feel in control and helps you plan and manage your events. Getting in the habit of knowing you event objective for every event you plan might be the secret to planning more events, getting more clients, and to keeping your hands firmly gripped on the steering wheel as you go through the processes of event planning to event managing. Knowing WHY you're planning gives you direction and prevents you from wasting time and resources. 1. WHO – Who will attend your event, who will be your organizers, do you need sponsors and/or partners, and will clients attend? You will need to know how many people you expect to attend because this will affect other decisions you need to make like how much food to order, seating arrangements, the venue you’ll need, etc. 2. WHAT– the “what” is composed of a few aspects like, what is the name of your event? For example, what is the event about, i.e. a car show, International festival, etc. What are the obligations of the attendees, if any? What is the dress code and do they need to purchase a ticket before or at the event or is it by invite only, is it a free or paid event? What will the party favors be and will the gift be given as a prize, when they leave the party, or when they arrive at the event? What meals will you provide and what will the menu be for each meal, are there any special requirements you need to be aware of? It’s important to keep the theme of the event top-of-mind when deciding the menu with your caterer, and be aware of any dietary restrictions like vegetarian or kosher meals. Know your audience when you decide on your menu because food is one of the most important aspects of any event, and it’s often what people remember the most. If you’re having a themed party, keep in mind you’ll need to consider music, food and beverage, gifts, decorations and games to suit your theme and you may need to adjust your service providers (DJ vs Hula dancers) accordingly. What are you going to do to promote your event, organizers, sponsors/partners and clients pre-event, during the event and post-event? 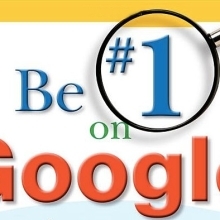 HOW will you market your event? What is your budget? The simplest way to create your budget is to simply purchase this one, because I’ve made it SO easy for you: I created this template for you based on the $2M+ event budgets I’ve used for my large corporate clients, and it’s suitable for any event and any event size. 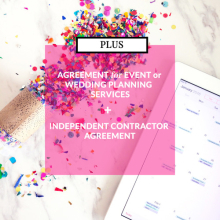 Or, to determine your event budget create a spreadsheet outlining the cost for producing and marketing the event, and DO NOT forget to add in your fees and staff salaries. Your client will bear the production and marketing cost if you are planning an event for someone else, but as an event manager, you must be able to recover your production, marketing and operating costs and make a profit if you’re planning an event for yourself or your company. Creating an event budget and managing cash flow can be quite difficult and often requires help from an experienced professional. When planning an event, think about the weather and plan for foods that are seasonally appropriate, i.e. don’t serve ice cream in the winter or have a lot of hot or spicy foods on the menu in the summer. Also, if kids are going to be at your event, it’s best to have a kid’s menu or some kid friendly choices available. I remember a corporate event I planned where the comments from the men at the conference were, “where’s the meat?” Apparently I didn’t have enough meat on the menu! 3. Where – Keeping in mind accessibility for your event attendees, what is the best location for your event? Some options include: a hotel ballroom, golf course, museum, convention centre, or a venue that’s close to an airport. Know your target audience and choose dates and a time based on what’s convenient for them. Remember that, depending on the type of event, nearly 40% of people don’t show up for confirmed events. Be aware of other events in the area and how this will affect your event, i.e. road closures, security or police availability, hotel requirements, etc. Watch the weather. If there’s rain forecasted for the day of your event buy umbrellas for your clients. 5. Why – why is this event-taking place? What is its purpose and how can you align it with your client’s (company) objective? The ‘WHY’ is your event objective! 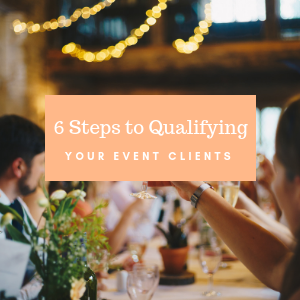 Let me know your biggest take away from this post and also share how creating an event objective will help you plan better events for your clients. If you found this blog post valuable, share it with another event planners so they don’t miss a fundamental step when planning events. Plan Any Event With The Event Toolkit Start Today! This is the first post I am reading. As I have just planned my career on event planning, this was really helpful to me, it answered to most of the questions I had in mind. Same as Pavi, this is my first time reading any of your posts. I have a fashion organization that helps teach and connect people in the community that are wanting to learn or continue different job in the fashion world! I have watched a couple of your videos on youtoube and defiantly plan to continue! I just did a huge community free fashion show and could have used some of these tips!! !